With MKC, Lincoln targets customers looking at the Audi Q5, BMW X3, and Mercedes-Benz GLK. Lincoln, one of the last luxury holdouts to the compact-crossover game, joins the fast-growing segment this summer with an upmarket model based on the hot-selling Ford Escape. 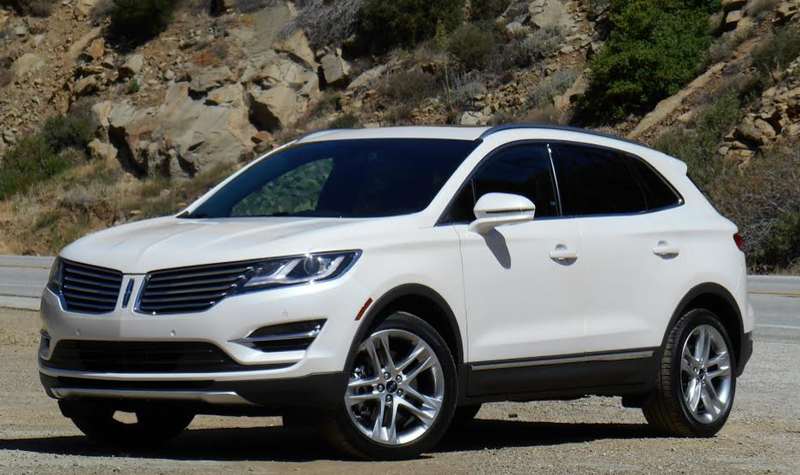 Going on sale in June, the 2015 Lincoln MKC offers numerous premium touches not available on the Escape, along with a larger, more powerful EcoBoost engine. MKC starts at $33,995 plus $895 destination, which – although $3000 north of the most expensive Escape – makes it what Lincoln says is the lowest entry point among premium-class competitors. Three trim levels of the MKC are offered: base Premiere, midlevel Select, and top-line Reserve. The base engine on all models is the same 240-horsepower 2.0-liter EcoBoost turbocharged 4-cylinder engine offered as the top option in the Escape, and it’s available with front- or all-wheel drive. Optional on all MKCs is a new 285-horsepower 2.3-liter version of that engine that comes only with all-wheel drive. 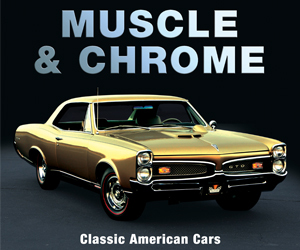 All combinations have a 6-speed automatic transmission. Rick’s test MKC is shown here with the available “Deepsoft” upgrade leather upholstery. Befitting its station – and price – even the Premiere comes well equipped with heated front seats, 10-way power driver seat with power lumbar and memory, 8-inch touchscreen, rearview camera, remote start, heated power mirrors, and rear obstacle detection. Prices range from $34,890 to $38,525 (including destination) depending on powertrain. Added in Select models ($38,120 to $41,755) are “Deepsoft” leather upholstery, 10-way power passenger seat with power lumbar, and universal garage-door opener. The top-line Reserve ($41,825 to $45,460) adds a panoramic sunroof with power shade, navigation system with voice activation, blind-spot detection, and a hands-free tailgate that raises when the driver’s foot is swiped underneath the rear bumper. Richly textured and deeply padded surfaces line the MKC’s cabin. 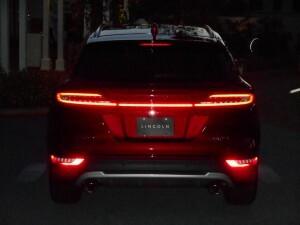 Optional features offered – either separately or in packages – include adaptive cruise control, lane-keep assist, front obstacle detection, heated rear seats, heated steering wheel, an electronically adjustable suspension, and Lincoln’s Active Park Assist, which guides the vehicle in and out of parallel parking spaces. Inside, the littlest Lincoln lives up to its luxury billing. The dashtop and even the console are covered with thinly padded leather, while the armrests and door tops – where your elbows might rest – both get deeper padding under their leather coverings. Nice aluminum or wood trim augments a choice of four interior hues, including two-tone choices, resulting in a rich ambience. 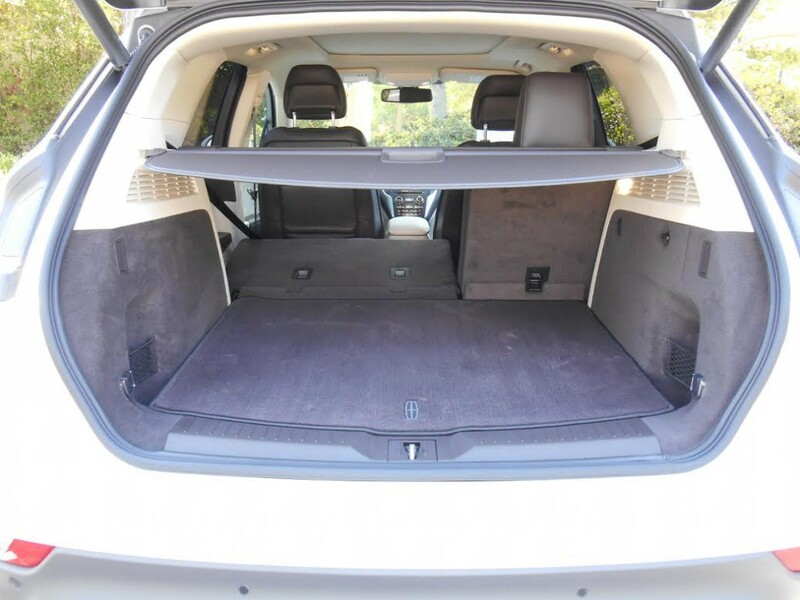 Folding MKC’s rear seat backs results in a level and nearly flat load floor. 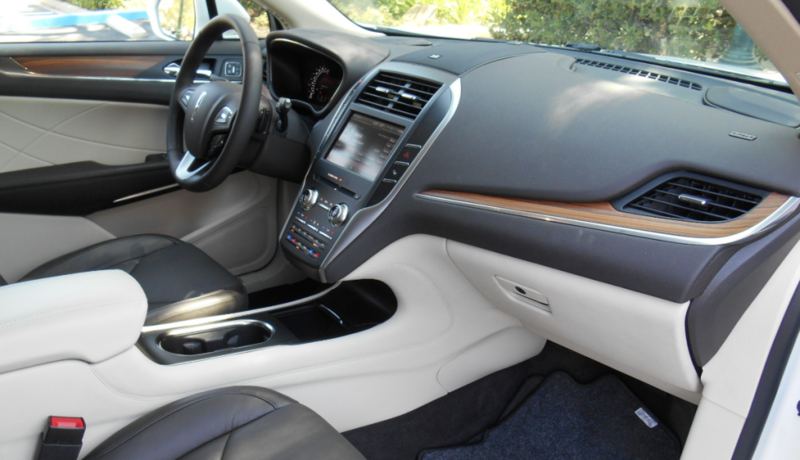 Interior space is adequate for most adults, but taller folks might find a larger SUV more to their liking. There’s good headroom front and rear, but the front seats don’t go far enough back to accommodate those long of leg, and pushed as far back as they’ll go, rear leg room gets tight. Visibility is okay to the front corners, but thick side and rear pillars block quite a bit, making the aforementioned standard rearview camera and rear obstacle detection a great help when backing. Like many redesigned upscale vehicles, the MKC makes liberal use of LED accent lighting. The MKC benefits from Lincoln’s signature transmission-gear selector, which consists of a column of pushbuttons flanking the dashboard control panel, thereby opening up space on the console. Audio controls include volume and tuning knobs, with all other functions controlled through the 8-inch touchscreen. This mostly works well, though – as is typical of touchscreens – some simple functions require multiple steps. The climate-control system uses repetitive-step pushbuttons for temperature and fan speed – which can make them tedious to adjust – while mode selection is done through the touchscreen, often requiring multiple steps to access. On the positive side, all controls are easy to reach, and automatic climate control is standard, so you probably won’t have to fuss with them much. Interior storage is quite good, in part due to the aforementioned gear selector. A smallish two-tiered glovebox is joined by a large two-tiered console box with 12-volt outlet, along with two open cupholders, a forward console bin (with Aux, dual USB, SD card, and 12-volt jacks), and medium-sized map pockets in the doors. The cargo area is nearly as impressive. Folding the rear seat backs results in a level and nearly flat load floor, and there’s no need to remove the headrests to do so unless the front seat is well back. However, though the hatch opening is wide, the cargo area itself is somewhat narrow. There’s very little underfloor storage, but there are side pockets to hold small items, and also handy tie-down and grocery-bag hooks. 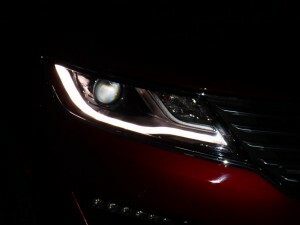 MKC’s standard xenon headlights are seen here highlighted by LED trim. With both engines offered, normal acceleration is fairly smooth and seamless. But if you’re in a hurry and the throttle is floored from a stop, it takes a moment for either of the turbocharged engines to start producing real power, which then comes on with a slight surge. If the throttle is stabbed while under way, the transmission sometimes hesitates to kick down for more power (more so at part throttle than full throttle), and even then, neither engine feels quite as strong as their rather lofty 240- and 285-horsepower ratings would imply – possibly because even the base model with all-wheel drive tips the scales at nearly 2 tons. The base suspension provides a decent luxury-level ride combined with good steering feel and fairly nimble handling. The adjustable suspension offers Normal, Comfort, and Sport modes, with a noticeable but hardly quantum leap between them. As with many adjustable suspensions, Normal mode seems to work the best unless canyon carving is on the menu, as Sport is a bit stiff and Comfort allows too much wallow. At highway speeds, road and wind noise are well muffled; only on coarse pavement did tire rumble intrude. There’s little noise over bumps, and both engines sound quite refined, even under moderate to heavy throttle. Among competitively priced premium sport utes, the MKC comes off as leaning – perhaps expectedly – more to the luxury side than the sport side. And it plays that role well. 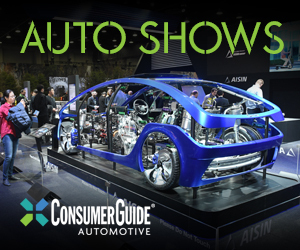 Although it might be difficult to persuade buyers in this segment to look to Lincoln for a compact crossover, those seeking what that brand is known for would be well advised to put the MKC on their radar. Written by: Rick Cotta on June 23, 2014.on March 22, 2019.